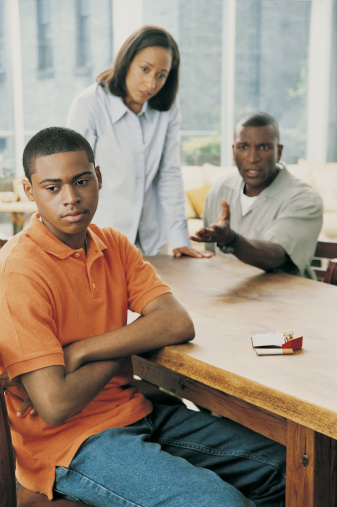 There’s a recent epidemic – especially amongst black parents – to publicly shame and humiliate adolescent and teenaged children. Parents put up videos picturing them “whooping” their own children with belts because they acted inappropriately on social media. Or, they picture them holding some sign which says why they are not allowed on Facebook for a month. Or, they show their child’s hair shaved bald in the center – mimicking a balding older man – to punish them for acting “grown.” I find all of these parenting choices absolutely abhorrent and more damaging than corrective. I got “whoopins” as a child. I have been beat with belts, wooden spoons, spatulas, “switches” from the wiry, vined plants in the backyard, TV Guides, or whatever else my mother or aunties and uncles could grab in their fits of rage. Once, while whooping me, my mom broke her freshly done acrylic nails. That caused my whoopin to be worse and even more aggressive. My auntie used to make us line up – me and her children – for whoopins. It was like in the olden days when folks had to line up to clock out at the end of the work day. What was more humiliating was that I often had to pick the instrument of my demise. I hated it. But, just imagine how I would have felt if those experience were posted on the internet for randoms to gawk at and find humor in for the rest of my natural life. There’s no way to fathom how that would make me feel as an adult because the imagery would certainly exist into perpetuity. Studies have shown that shame is typically the result of some type of personal failure. Even cross-culturally, shame involves not meeting a minimum standard for group membership. It is meant to encourage subordination, subservience, and conformity. There is a reason why corporal punishment was used during the 1600s to 1800s to train African and African American slaves on the ways to be good chattel. Public whippings with leather-based, spiked whips not only punished the offender (who often did something far too small to warrant the public beating), but it scared the hell out of onlookers who witnessed the horror of the beating. Shame got the intended result of turning able-bodied men and women into docile property – easily controlled and perpetually loyal. What folks don’t realize is that shame does not encourage all children to correct perceived or actual wrong behavior. And, when the punishment outweighs the offense, different feelings begin to emerge. Children – depending on their personality, self-esteem, or maturity – may begin to question whether or not they belong in their social circle. They may feel so vulnerable that they feel as though they are alone which contributes to depression, anti-social behavior, and even suicide. Instead of feeling guilty about the thing they did, they may begin to feel shameful about who they are. That can be life altering. This is how predators find children to abuse. They target children who don’t have social cohesion and are susceptible to being controlled by others. Personally, I just can’t see how this tradition has lasted so long. Even when the publicized – often viral – videos and images are not specifically of physical brutality, they are always committed to shame. Shame is a powerful inoculate. Shame makes people feel like they aren’t good enough. They feel vulnerable to rebuke, scorn, and judgement. When folks in power can’t figure out other ways to reach out to or empathize with people, they typically use shame as a shortcut. Shaming is the lazy man’s teaching. And public shaming is called bullying no matter who the bully happens to be. Now, parents may raise their children however they’d like. We are raising “free children”. In our household, no child will ever feel the sting of leather – or any other instrument – across their skin. While we do discipline our children with pinches and “pops,” we never do those things to inflict pain. And, we never punish them in front of a group. Our children are always brought back into the fold, never isolated for longer than a few minute long timeout. And, we choose to use a system of rewards to encourage appropriate behavior. Tokens and stars seem a more apt approach with children in our eyes. They are happy, bright, imaginative kids who seem perfectly well-adjusted without belts and webcams screwing them up. We agreed, long before we had children, that we would never whoop our kids. We didn’t even consider public humiliation a parenting tactic. We have both been embarrassed by our parents enough times to know that it didn’t make us want to be better, it just made us frustrated at our lack of control of our own personhood. For black children, I posit that there are enough messages and structure out there which are damaging, shame-inducing, and downright dangerous for our children. They have an entire society reinforcing their greatest fears about themselves and far too many examples (re: Trayvon, Jordan, Jonathan, Renisha, etc.) of how serious the punishment can be for their social strata. I just can’t, in good conscience, contribute to that. I prefer to build my children up, make the places made weak by society strong by family. Parent how you wish. Turn your nose up at our timeout system. Chuckle at our reward board and treats for good behavior. But, we know what shame can do. We know it firsthand and you better believe that we won’t be change our minds about the damage it does anytime soon. February 18, 2013 Harlem Shake Back in? Puhleaze, Folks Get Your Lives.